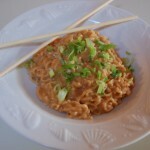 A quick and easy Peanut Pad Thai in under 10 minutes!! 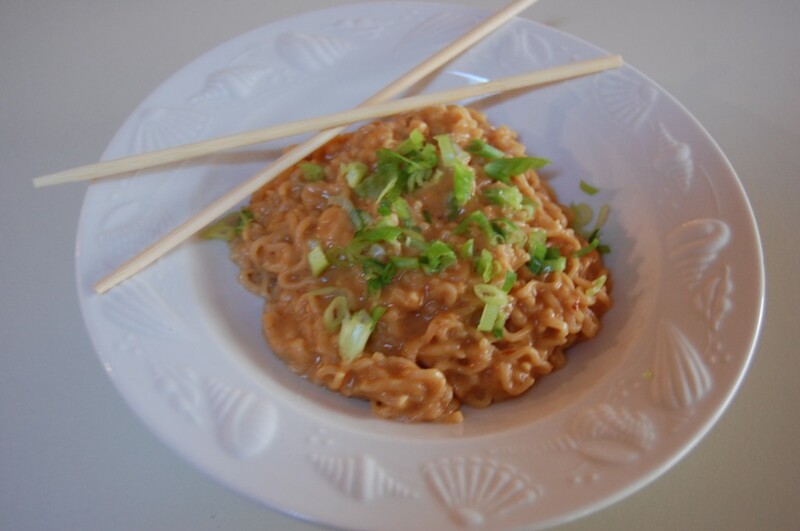 Boil 2 cups of water in a saucepan, add noodles and flavor packet, cook for 3 minutes, stirring occasionally. Drain off most liquid. Return noodles to the pan and toss with soy sauce, peanut butter, and Sriracha. Divide into serving bowls and garnish with scallions and chopped peanuts. Eat immediately. I tried this both with and without the seasoning packet and I prefer it without the seasonings but it was still really good either way.